Our Spring house is a single story cedar cabin that sits about 25 yards from the river with a wonderful view. 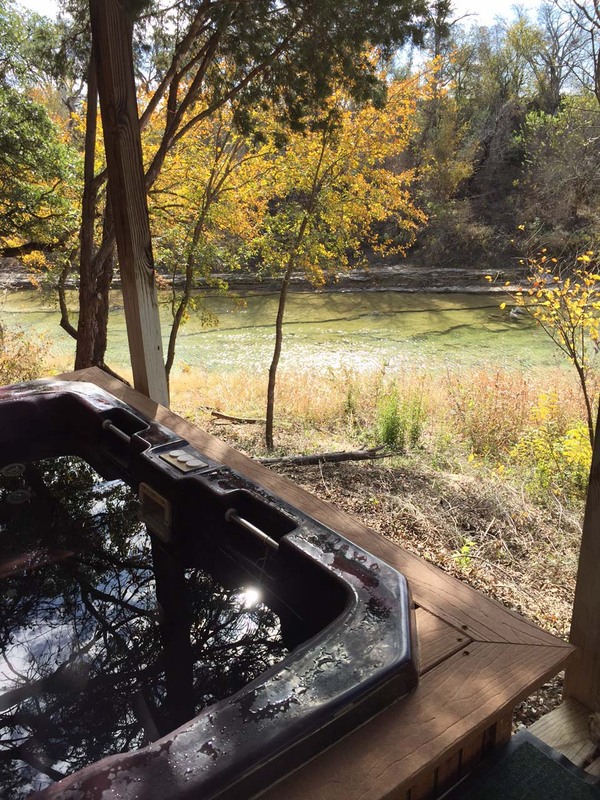 You have a large private deck and hot tub that looks over the river. 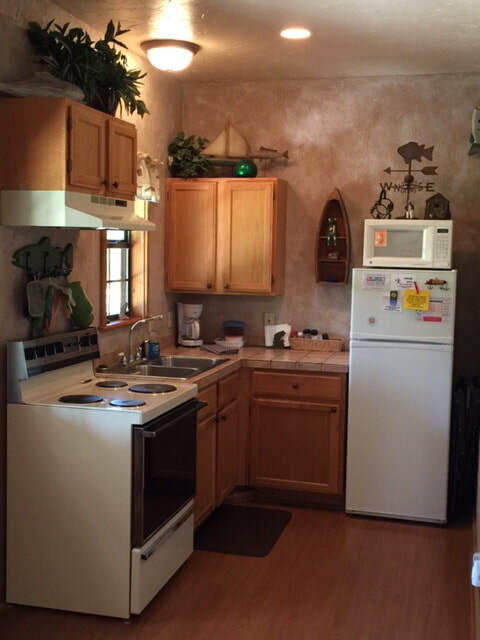 This cabin is decorated in a fishing style and has a propane grill on your deck, full kitchen range/oven, microwave, large refrigerator, coffee maker with coffee, pots, pans, dishes, towels, and linens. 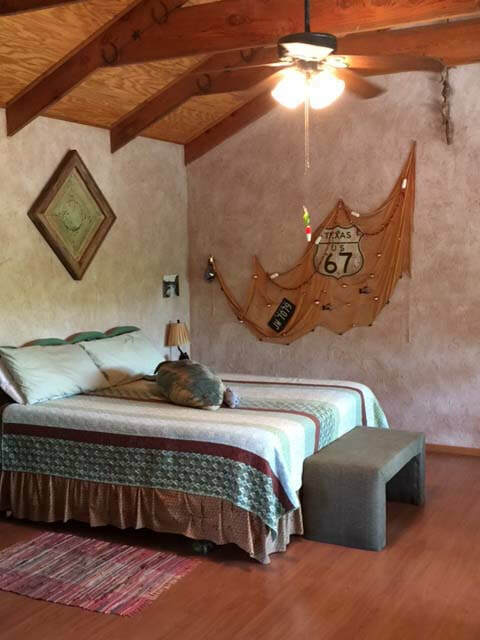 The large open style cabin has a king size bed, nice dining table, bath with shower stall, heat and air, two recliners with a small table and your AM/FM/CD player. 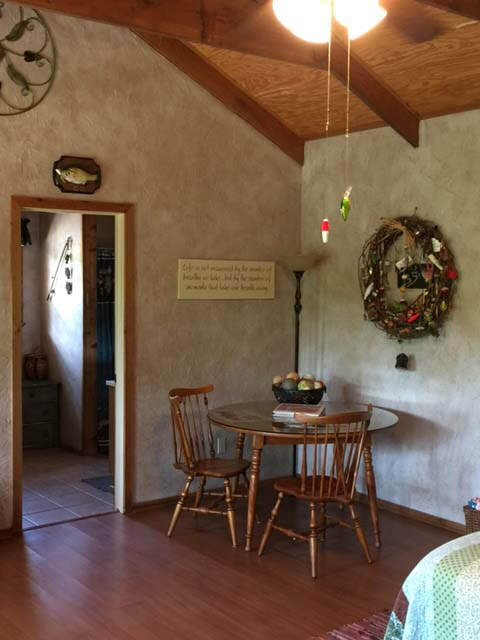 The Spring house has nice rocking chairs for relaxing, and you also have access to the common area and river for your fishing, swimming or wading activities.